LifeLearn launches PetNurse - LifeLearn Inc. : LifeLearn Inc.
GUELPH, ON—Jan. 29, 2019—Celebrating 25 years of innovation and excellence, LifeLearn Animal Health proudly announces its partnership with Vetsdirect, the UK’s largest veterinary telehealth provider, and the launch of PetNurse, the after-hours telehealth triage service available to veterinary practices as part LifeLearn WebDVM websites. “We’re thrilled to be partnering with Vetsdirect and jointly launching PetNurse as one more reflection of our continuing commitment to provide veterinary practices and animal health companies with the best solutions to improve efficiency and profitability, and maximize pet health care,” says Randy Valpy, President and CEO of LifeLearn. PetNurse addresses the needs of today’s pet owners, who often have important and even critical pet health care questions on evenings, weekends, and holidays. Without a trusted and convenient 24/7 resource to help them make pet health decisions after practices have closed, pet owners have few choices but to hazard the risks of using often-unvetted online information that can be incorrect and ineffective and may cause pets harm or travel to an emergency clinic when it may not be required. Either way, the result is reduced customer satisfaction and lost revenue for practices. PetNurse works in partnership with veterinary practices to provide reliable after-hours support for pet owners who need instant answers to pet health concerns. So, between the practice and PetNurse, a 24/7 service is provided to pet owners without the need to recruit additional staff. Staffed by RCVS (Royal College of Veterinary Surgeons)-registered veterinary nurses, who follow distinct protocols in every call based on pet symptoms, PetNurse helps pet owners avoid the risks of using unvetted online information and helps boost appointments and profitability for practices. All calls are answered using the clinic’s name. If a pet concern isn’t urgent, nurses can advise pet owners to make a next-day appointment with their veterinarian or book an appointment directly with practices that have a WebDVM website. This drives further engagement with, and revenues to, the practice. If a situation is urgent, nurses can advise pet owners to visit their veterinarian right away or an after-hours emergency clinic associated with their veterinarian. If a pet concern is minor and can potentially be resolved by the pet owner, nurses can advise on what is required (e.g. in the case of a nail that is cut too close to the quick) and arrange follow-up discussion to ensure the concern is resolving itself. All calls to PetNurse result in a note being sent to practices for review the next morning. LifeLearn, Inc. empowers animal health organizations to optimize client communications, maximize efficiency and improve profitability with the LifeLearn ECOsystem, a comprehensive suite of customizable online solutions that advance animal health and education worldwide. Founded in 1994 in Guelph, Ont., LifeLearn, Inc. helps veterinary, industry and pet service companies grow their business and improve compliance while saving valuable time with fast, easy access to the latest and most trusted animal health medical information, fully optimized for desktop and mobile devices.  Celebrating 25 years of innovation and excellence, LifeLearn was named one of Canada’s fastest-growing companies on the 2015, 2016 and 2017 PROFIT 500, and 2018 Growth 500.